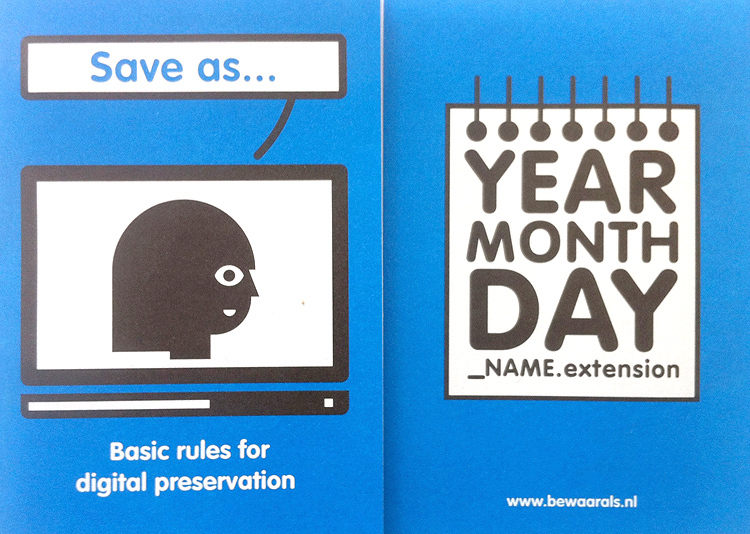 "Save As…" is a manual designed to help creative disorganized people (designers) organize and preserve their digital files. 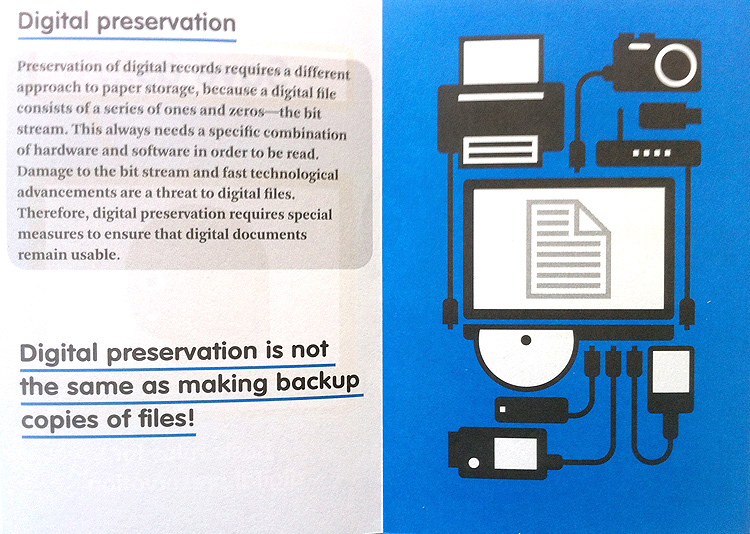 The manual contains a list of tips categorized in four themes: Maintanance (how to keep digital records usable), File Formats (how to save your files in the right format), Documents (how to name your files) and Carriers (how to store your work). 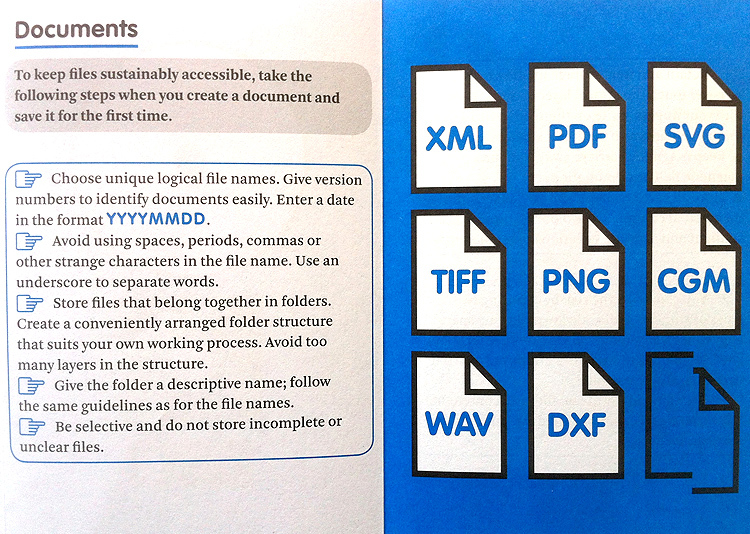 Tips include basic stuff like "Store files that belong together in folders" and "Choose logical file names". 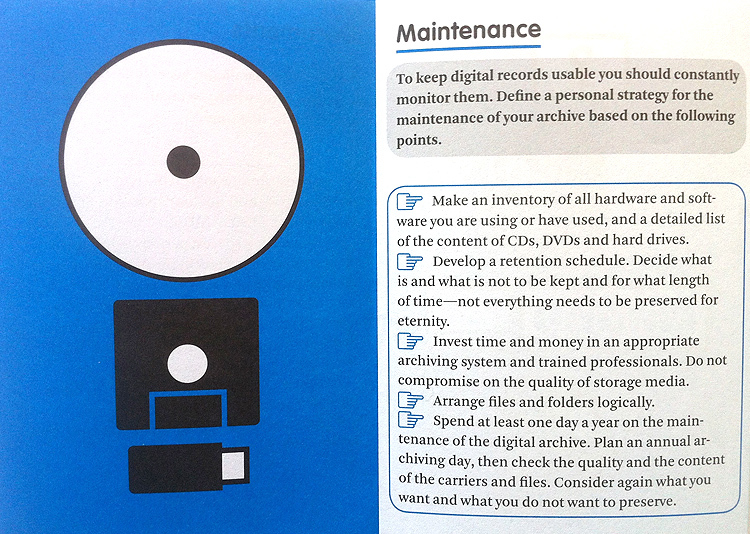 No, you probably don't really need this booklet, but some tips may serve as handy reminders and it's got nice illustrations by Max Kisman and - best of all - it's free! 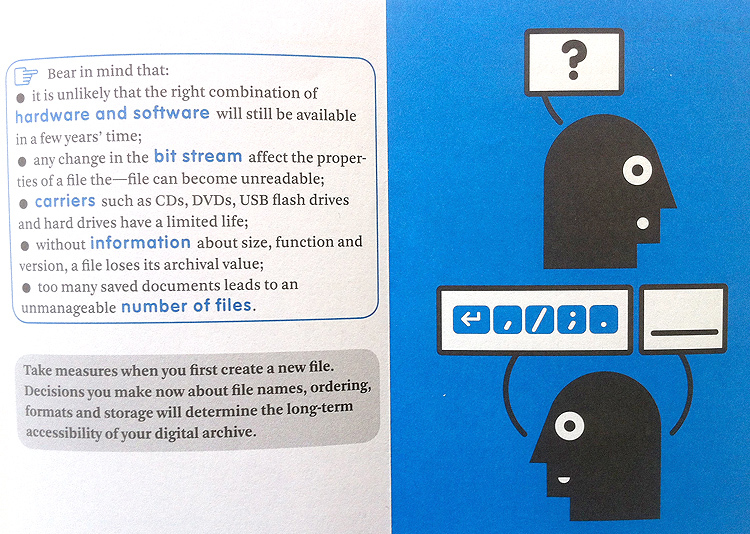 The manual is written by Karin van der Heiden in partnership with the Dutch design platform Premsela. For some reason, a PDF is not available for download, but free physical copies are distributed via Premsela. Mail your request for a copy to secretariaat@premsela.org.